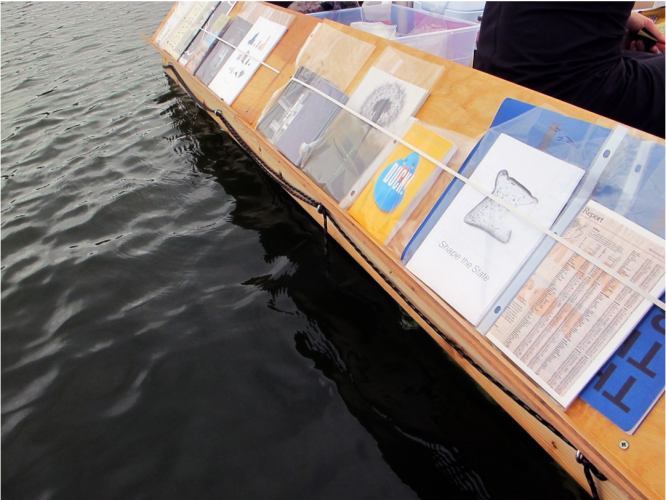 For those looking to take in some sun this weekend, head to Echo Park Lake where you can rent paddle boats and make your way around to Machine Project’s rafts equipped with artful reading material. Thursday-Sunday, Feb 11-14, 11am-4pm. Click the link above for ticket prices and info. Highlights from this exhibition include key selections from a local family’s collection of over 3,000 books, manuscripts, and objects created by or about Lewis Carroll including Alice illustrations by Salvador Dali. Fri-Sun, Feb 12-14. Click the link above for open hours and more info. In conjunction with LAABF, The Thing Quarterly is releasing Issue #29 of their publication by visual artist Ricky Swallow. With a DJ and video set by Dave Muller of 3 Day Weekend, it’s sure to be a packed event so arrive early! Feb 12, 8:30pm. Click link above for more info. 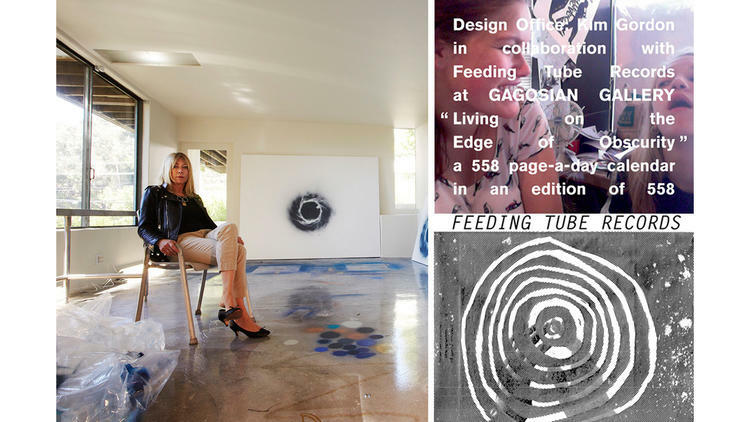 Gagosian’s presentation of Kim Gordon in conjunction with Feeding Tube Records will include thirty iconic record covers by artists like Rita Ackermann and Richard Prince made to accompany a vinyl produced by Gordon and Bill Nace under the name Body/Head. Visitors to Booth J can enjoy a listening station as well as choice selections from Feeding Tube’s collection. Fri-Sun, Feb 12-14. Click link above for more info. Originating as a journal in the 1970s, Semiotext(e) is beloved by contemporary art conneisseurs for its merging of critical theory, underground culture, and high/low aesthetic. In addition to art theory, it also incorporates poetry, criticism, and activism for a bold read. Check out their booth for copies of their widely-appreciated issues. Fri-Sun, Feb 12-14. Click link above for more info. 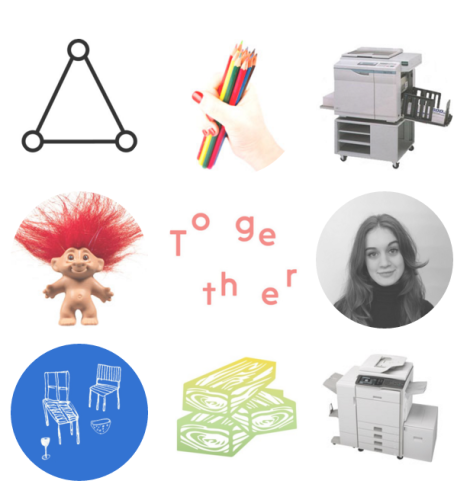 With the mission to engage with an audience under the guise of Soft Power, the Women’s Center for Creative Work presents ten artists in residence seeking to participate in a marketplace exchange that’s devoid of coercion and instead meaningful and cooperative. 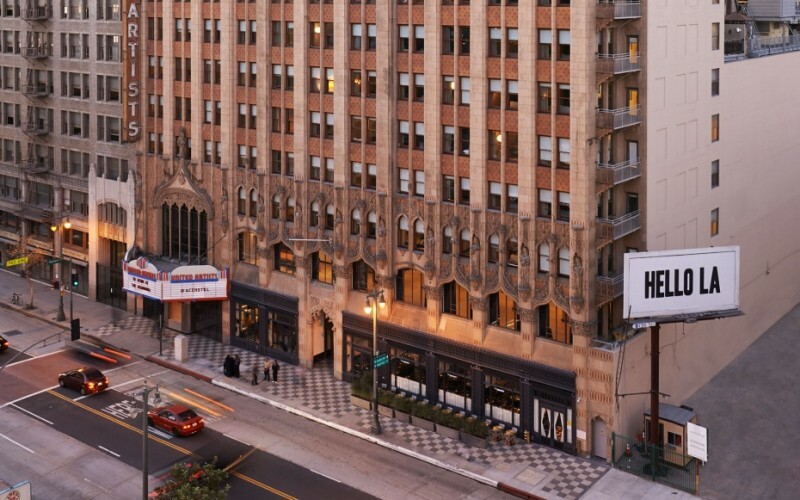 This community marketplace may also include pop-up performances so be sure to check it out. Fri-Sun, Feb 12-14. Click link above for more info. 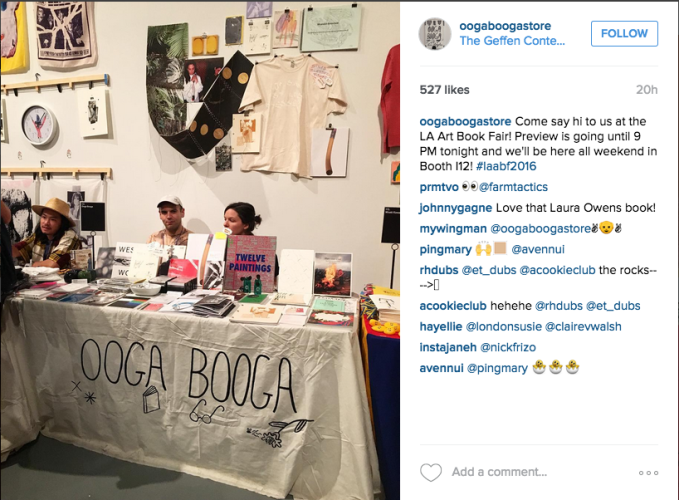 A staple of LA’s independent art and books scene, Ooga Booga is also famed for their production of events, performances, film screenings, and readings. They’ve also been known to publish books, zines, and recordings from time to time. 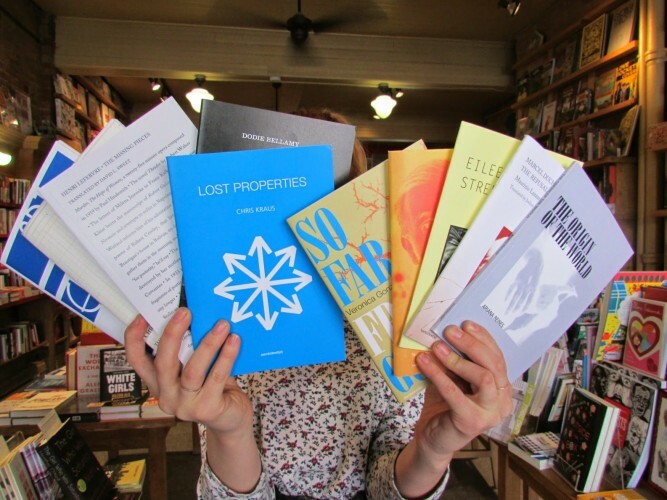 Check them out at LAABF for the release of a zine they’ve published for Brooks Headley. Fri-Sun, Feb 12-14. Click link above for hours and more info.